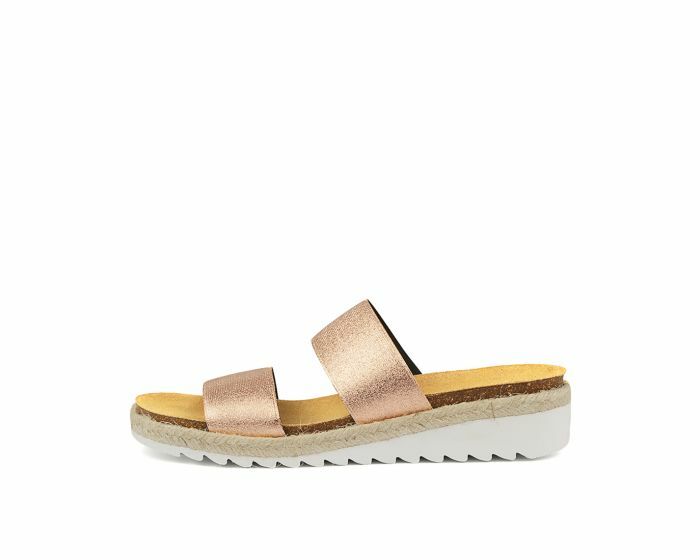 Bringing sports luxe into the forefront of your holiday outfits, the MIDRID slide will transform everyday dressing into something extra special! Set upon a raised wedge sole with woven trim and a cleated texture, this design is perfect for summer – ensuring it’s a dream to style with both flowy dresses and denim shorts. The metallic straps give this sandal an edgy feel, while the slip-on fit ensures it's easy to kick off when you’re ready to relax!